Early in life, Leticia Watkins moved from New York to Virginia, where she quickly became involved in the church and later accepted Christ as Savior. At an early age, she desired to serve on the battlefield of the Lord. With her family’s support, she created biblical drama productions and her church’s first praise dance team, all while leading the youth choir, youth usher board, and youth Sunday School. Leticia received her Bachelors of Science in Biology with a minor in Chemistry and a pre-medicine concentration from Virginia Commonwealth University in Richmond, VA. Upon matriculation, she worked as a pharmaceutical research scientist and as a rescue squad emergency medical technician (EMT). Simultaneously, she focused on increasing reading literacy in Black males in inner city schools. Leticia also became the Youth Director of Morning Star Baptist Church, where she developed praise and mime teams, and oversaw all children and youth ministries. Her pursuit of graduate studies led Leticia to Birmingham, Alabama in 2009 where she further developed as a scientist and received her Master’s in Biomedical Science with a focus in immunology. Her affinity for youth development led her to train minority students and teachers in Birmingham City Schools to increase higher education possibilities for youth. 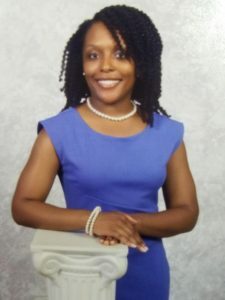 Leticia is the founder of the first graduate student-led professional development program for minorities, BLUEprint CONNECT, at the University of Alabama at Birmingham; and is a proponent of mentoring at-risk youth. She is the first mentor for the Jefferson Family Court Adolescent Mentoring Program and a humbly accepts any opportunity to inspire youth and steer them toward spiritual, personal, and professional development. Leticia truly believes God works all things out in His perfect timing and divine order. She often marvels at the work of His hand in her life and considers it nothing short of a blessing to be chosen to spread His love to His people. She uses her scientific background to strategically approach issues in the Body and she acts in His love to help formulate solutions for His people. Her prayer is that He will continue to use her for His glory.